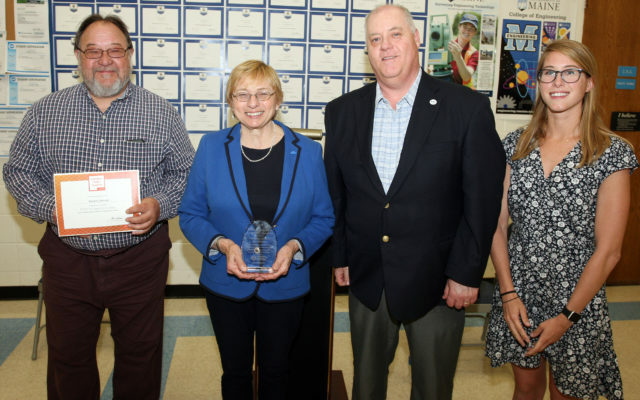 Maine Attorney General Janet Mills was in Aroostook County May 31 to get a first-hand look at the many programs offered at the Region Two School of Applied Technology. 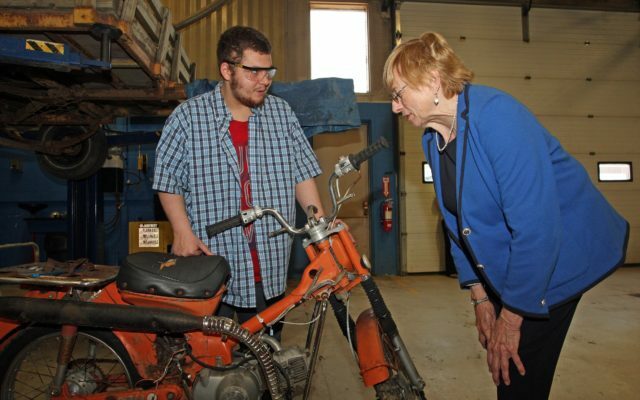 HOULTON, Maine — Maine Attorney General Janet Mills was in Aroostook County May 31 to get a first-hand look at the many programs offered at the Region Two School of Applied Technology. In addition, Mills was presented with the 2018 Financial Capability Innovation Award, presented by the nation’s leading technology innovator, EVERFI Inc. The award recognizes the attorney general’s efforts to improve the financial capability of Americans through unique digital learning initiatives. Dave Keaton, director of Region Two, explained the importance of the EVERFI program for seniors, many of whom gathered for the awards ceremony. The school became an EVERFI school in 2017, but the program was launched in 2016 through a partnership with the attorney general’s office. The partnership helped bring financial literacy to local students at no cost to schools or taxpayers. The web-based program uses the latest in simulation and gaming technologies to bring complex financial concepts to life for students in today’s digital generation. According to Region Two instructor Robert Zabierek, who also is a member of the board of directors for the Maine Education Association, the digital program has become part of the school’s mission to support career development and teach life skills to students. Zabierek was the first educator in Maine to earn a teacher certification in financial education through a partnership with EVERFI and Bloomboard. Maddy Murphy, director of global partnerships for EVERFI, said the purpose of the program was to make students more well-rounded for when they either go on to college or enter the workforce. Mills said she was very impressed with the Houlton center after taking a tour of the campus. She said in her time in the building, speaking with some of the students, the skills they are learning will play important roles in their future to help them become successful. Mills also expressed appreciation for the award recognizing her support for the EVERFI program.